Youth Mission Statement: Together in Christ's love we teach, call, encourage and guide youth to grow in faith and send them into service in daily life. Youth Goal Statement: To reach youth from Zion Lehigh and surrounding communities in grades pre-K through 12th grade to help them to grow in their understanding of their faith through praise, devotions, fellowship, and missions. 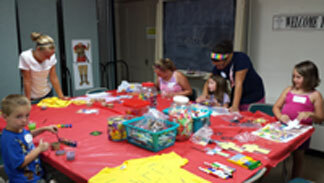 The objective of Zion Lehigh Lutheran Sunday School Program is to help children come to experience, love and follow Jesus. Your child will learn that faith is an active, every day part of life; that loving God and loving your neighbor is not just reserved for Sunday but is a way of life. 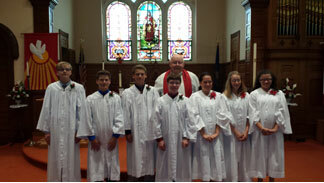 Confirmation class prepares a young person to become a active member of the church. The class prepares them for Confirmation, the time when they will make a personal statement of faith, and became a communing, contributing member of the congregation with the right to attend annual meetings and vote.